One you have established a website for your business you may think that your work is over and you can relax. But I can tell you that you are terribly wrong. All you have done is just like erecting a board at your backward. Unfortunately the people are going through the front road and not potential customer is ever going to look at your back yard. Not only that trespassing and looking at your backyard is illegal. So normally only the people who want to find out what is your situation, will be coming to your back your back yard. This is either to steal your property or people who want to know about your ideas and activities, so that they can be better equipped to compete with you. If you consider search engines are highways where tons of your customers are passing, please understand that none of your customers will never see your website, where as your website will be analysed by your competitor to find out what is your strategy and what are you are selling to your customers. So unless you do proper search engine optimization your website is actually doing harm than good. So now it is the time to move your Board from backyard to front. Hire some search engine consultant and make sure your website is in front page. I consider it is like traffic rule. A good and expert driver can not reach his destination unless he follow road rules. The same way there are some rules and tips to be followed. 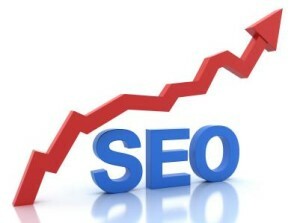 You must use proper search engine optimization techniques to achieve this. Google itself says that to appear your site in search result for a given phrase you must make sure that it is appearing some where in your page. if it is important make sure that you are inserting the given key phrase in meta description. Otherwise you may not appear in search result at all. But keep in mind that just inserting your key phrase in meta description is nothing, as millions of people including your competitor is done it already. But that is the first step and from there we start. There are thousands of search engine consultants are available out there. Especially from India you can find lot of search engine consultants. Looks like any body comes out of college and have ever heard about the world search engine optimization is calling himself as seo specialist, Search engine specialist, search engine engineer or whatever you can imagine. But you have to be careful while selecting these so called search engine consultants. Because with my experience more that 90% of these people thinks search engine optimization means directory submission, Writing some articles and submitting ezinearticles.com, or writing one 400 word article and submitting to 100’s of article directories, and social media submitting. All these article will have your keyword repeated again and again and they call it as keyword density. Imagine I am repeating my title in this article again and again in each 20 words what would have been the condition of this article. Infact I hope that this article will reach first page for the key phrase search engine optimization consulting. It does not mean that I have to repeat that word 50 times in this article. More over some article directories like ezinearticles.com add do-follow link in resource box, which clearly says human editors of google, that you have paid for that article and they immediately add a sponsored article penalty to your website because google build on organic links algorithm and they are strictly taking actions to the websites which artificially trying to boost link popularity. More over adding a do follow resource link is against Google quality guide line. 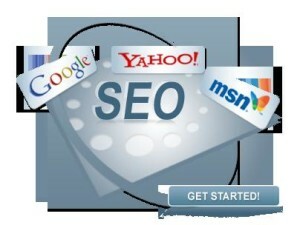 you are allowed to add only no follow links and an anchor word without search engine optimization. Logically you can invite customers to your website but you are not allowed to pass link value through a sponsored article. So by submitting an article to ezinearticles.com you are basically breaking google quality guide line, since as of now there is no way to submit a an article to ezinearticles.com by adhering google quality guide line. No article submissions to known free article submisstion sites, Google webmaster guide line says “Does this help my users? Would I do this if search engines didn’t exist?“. Let us ask would I submit an article to ezinearticles.com if the search engine didn’t exit?? My answer is that even a street dog won’t submit an article if there was no search engines. Never have any resource links in your articles so that Google can recoginise your article as sponsored article. Make sure you are adding good amount of outgoing links to authoritative websites, and never include more than one link to your website. The link to your website also should look 100% organic. Not only that make sure you are adding some links to related websites like you. Like add a link to Dominoes pizza, if you are writing an article to promote you local pizza shop website. Make sure that you are adding links to some good reference websites. Say if your article is about iPhone repair make sure you are adding a link to ifixit.com and if your article is about birthday celebration add a link 123greetings.com or hallmark or some other birthday gift portals or greeting card portals. Never worry about that website is commercial or non commercial. Because for google there is no commercial or non commercial. It got only good or bad website. While writing article concentrate only on article and make sure you readers will like it. There is good chance that if your article is good lot of other writers will add your article link as reference and the PR of your article will improve. It will increase the position of your website as well and you may get more more more traffic from this article. I am having one article which brings me around 100 visitors daily. No keyword stuffed articles. Just make sure that your writer is not repeating the keyword unnecessarily in unwanted places to please you. Other off site Seo works include blog commenting.do not spam by using commenting software and read and write genuine comments about the post you are reading. the owners will be more happy to approve that and some time they may visit. Not only that some post will be really famous and if the readers see your comments is worth while surely they will visit your site. But please note that the above is just core code. You may have to check what is the page status before putting the above code (like is it home page, pages, category or single post). better to search for the above as there are lot of people written about it. If you are from India and in an exam if there is question that ask you to write about Indian flag, then will you repeat Indian flag in every 20 words??. The why are you doing it while writing content for your website. I have seen one website which has started appearing on first page even without doing any offsite SEO. Because I got contract to do the seo and after one week I have seen that the website is already in first page. The owner was happy and I was double happy :). Use Images. People like images.